After working for ten years as a Chartered and European Patent Attorney with large clients including Yahoo!, Visa and Accenture I decided to go freelance in 2009. I now assist...Read moreAfter working for ten years as a Chartered and European Patent Attorney with large clients including Yahoo!, Visa and Accenture I decided to go freelance in 2009. I now assist individuals and small businesses at heavily reduced rates. 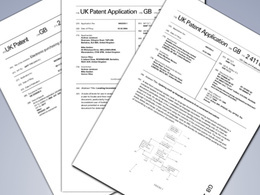 Services include drafting and amending patent applications, preparation of UK and European design applications, prior art analysis, and obtaining UK patent infringement and validity opinions. Description: Geoff has 10 years of experience as a patent attorney working at Boult Wade Tennant, one of the top patent and trademark firms in the UK. At BWT, Geoff gained huge experience in the patenting of computer programs and business methods, a notoriously complex area of patent law, and has represented companies including Yahoo!, Accenture, DreamWorks, eBay, Adobe and Boeing. He has successfully defended one of Herman Miller's patents on their "Aeron" office chair during a European Patent Office opposition and an Amazon patent during a UK Patent Office Opinion procedure. He has also opposed patents that were granted mistakenly, including a patent for a gas mask, and advised on 2 of the 19 oppositions that were filed against one particularly notorious business accounting method patent. 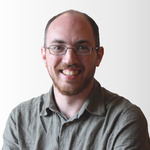 Geoff also has experience registering designs in the UK, across the European Community and internationally. These registrations include website interfaces for Yahoo! and Egg as well as extensive work with Ventura Corporation, a sports equipment manufacturer and distributor. Quick and with a minimum of fuss. Exactly what I needed. Thanks. Great work and detailed report and opinion for a very reasonable fee. Will use Geoff again and highly recommend his services. 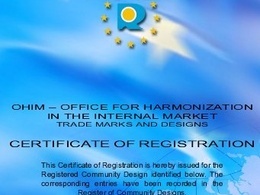 Geoff, helped me to get a UK Patent application form ready for the International filling. We had an in-depth chat over the phone he then converted my UK filing receipt into the PCT/RO/101 Form ready for submission. Very knowledgeable and helpful chap. Gave me the confidence I needed to finish applications for UK and international. Highly recommend his services. Thanks again! Geoff has been great to work with. He completed the work very quickly and saved me extra fees on technical drawings by completing the application with photos. I would highly recommend working with Geoff. Absolutely brilliant, decisive, very fast and effective. A pleasure to work with, highly recommended and will work with him again in the near future. Geoff so far has been great help. hope to work again soon.